This custom modern dresser was made for a customer who had a large closet and wanted a two sided his and her dresser with a large top for folding clothes in the middle of their closet. 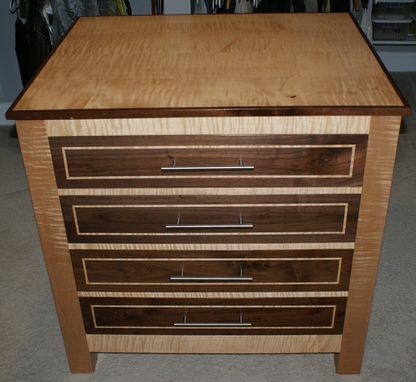 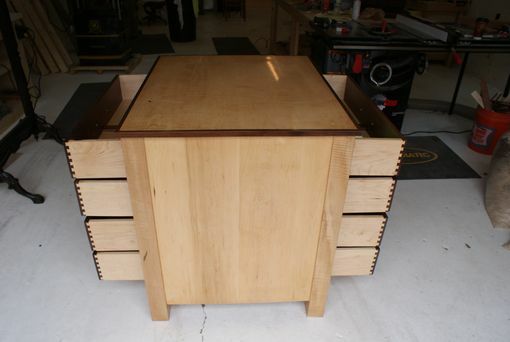 It is made of curly maple and walnut with dovetailed drawers with curly maple inlays. 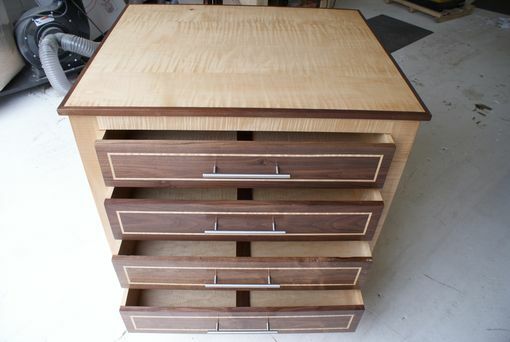 We can recreate this dresser with your choice of dimensions, wood and inlay.